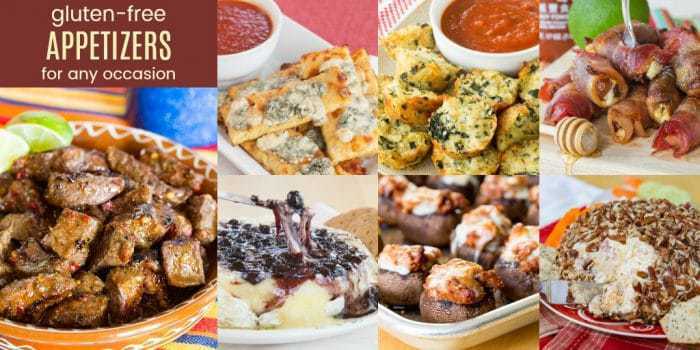 Gluten free appetizers are a large part of any party or holiday gathering, but many prepackaged appetizers at grocery stores are full of gluten. Even if a package states that an appetizer is gluten free, unless it is certified gluten free, it is possible that it still contains traces of wheat. That’s why I make homemade gluten free appetizers. Some of my favorite gluten free appetizers are so delicious that you won’t even notice that they are made without wheat, rye, or barley. 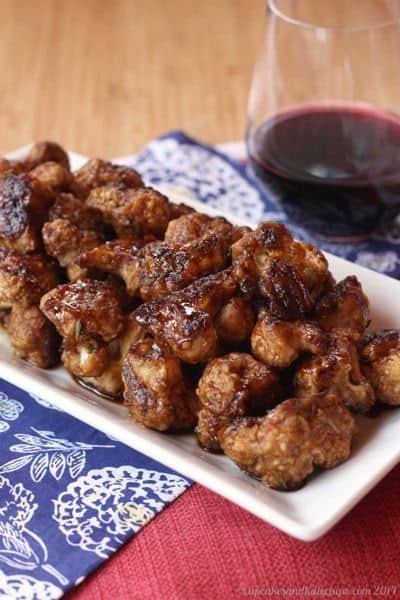 The best thing about these appetizer recipes is that they are fancy enough for cocktail parties and easy enough for game day food, but are also perfect for any occasion! 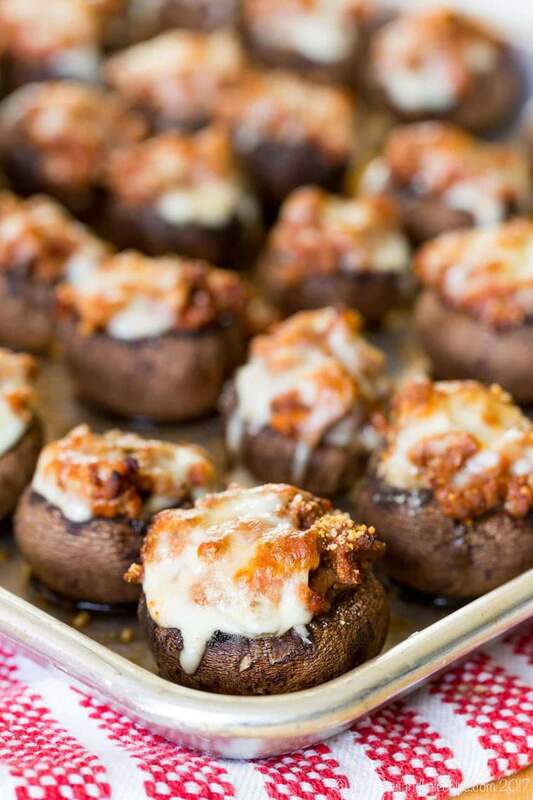 An easy party appetizer packed with all the flavors of your favorite Italian meat sauce in one bite-sized package with a sprinkling of mozzarella and parmesan cheese. 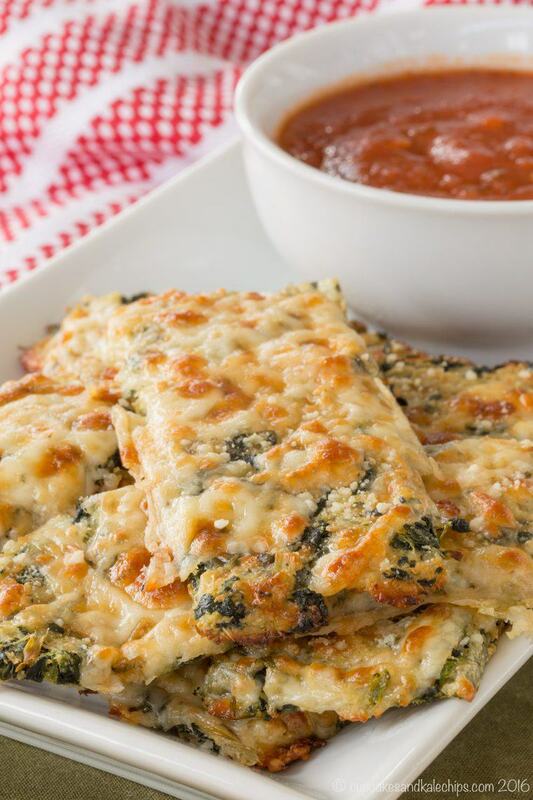 With three kinds of cheese, this easy gluten free appetizers recipe turns your favorite hot spinach artichoke dip into a healthy, whole grain finger food! The perfect gluten free appetizers to make when you want easy, healthy finger foods with loads of flavor! 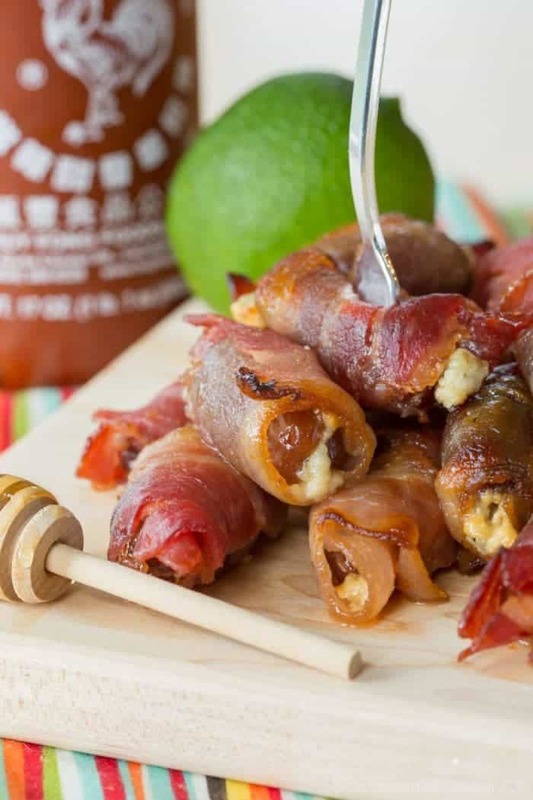 Blue cheese stuffed dates wrapped in bacon, then coated in a honey lime sriracha glaze. 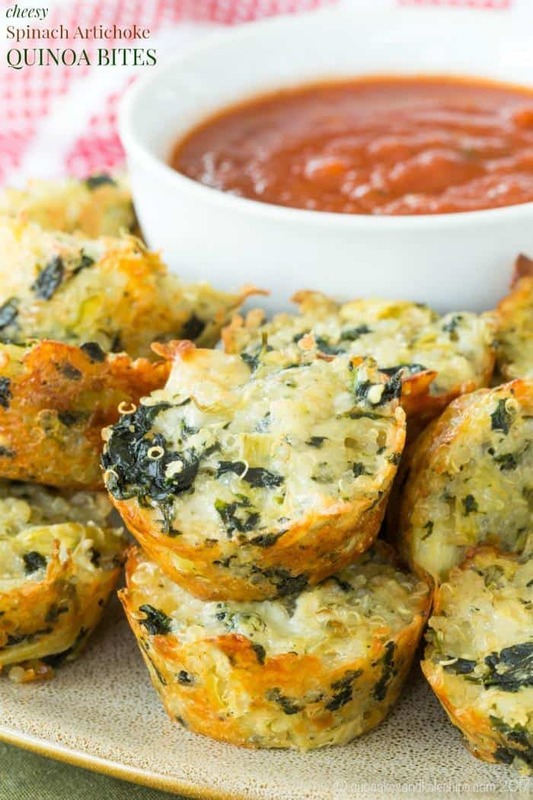 These will be your new favorite gluten free party appetizer recipe! 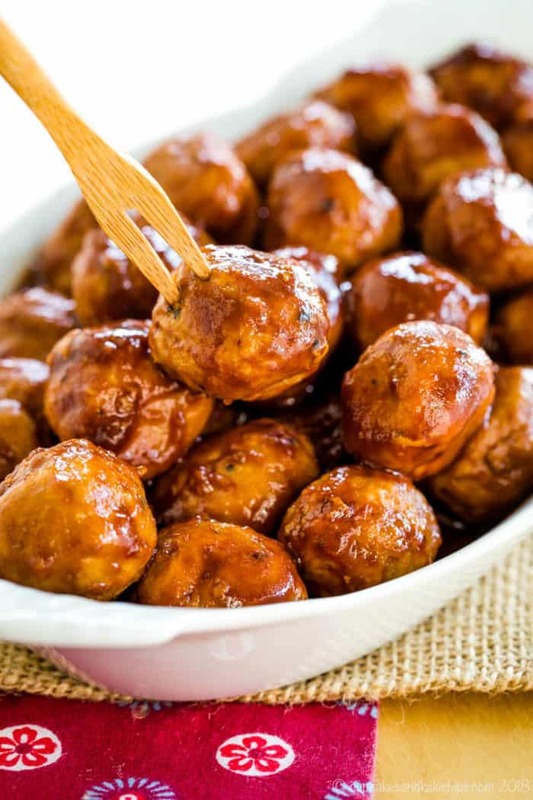 Kids and adults love the sweet and savory flavors in these easy turkey meatballs covered in a mixture of apple cider and your favorite barbecue sauce. This easy appetizer recipe is a sweet, smoky, spicy twist on the classic Spanish tapas recipe for tortilla Espanola! 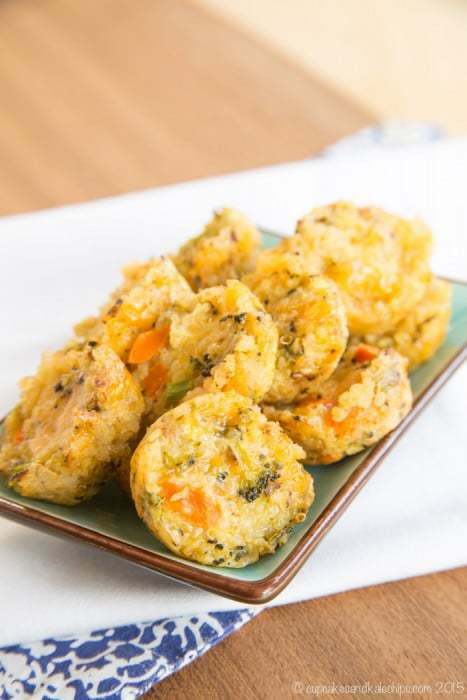 These healthy little tots are packed with vegetables and cheese for a perfect healthy snack, appetizer, or side dish. Use any leftovers you have in your fridge! 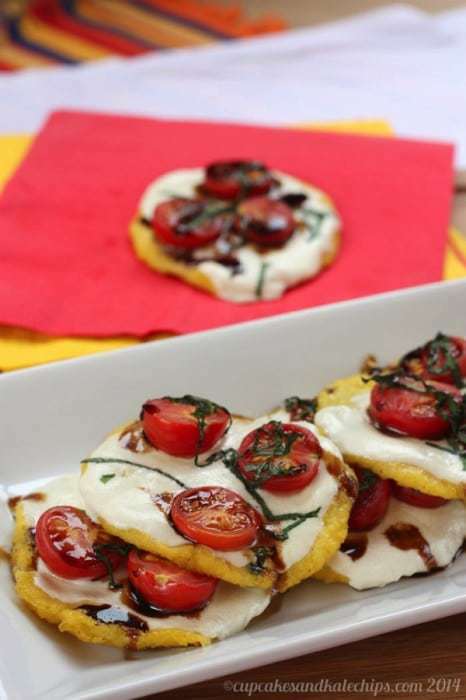 A favorite appetizer salad is transformed into hand held game day munchies in this delicious polenta pizza recipe! 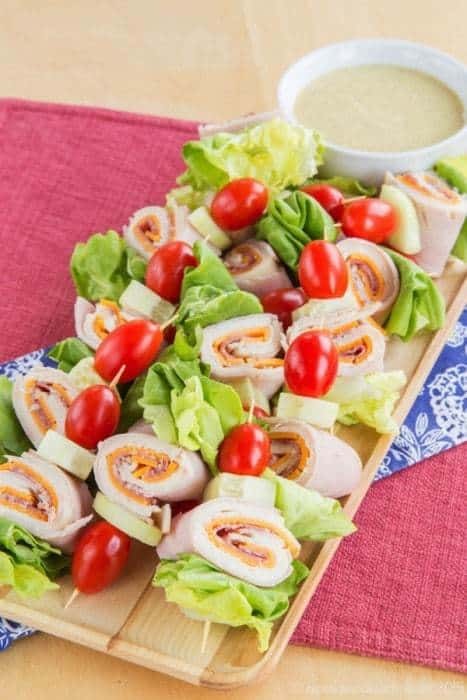 Easy enough to throw together on game day, but elegant enough for a special dinner or Oscars party hors d’oeurves. 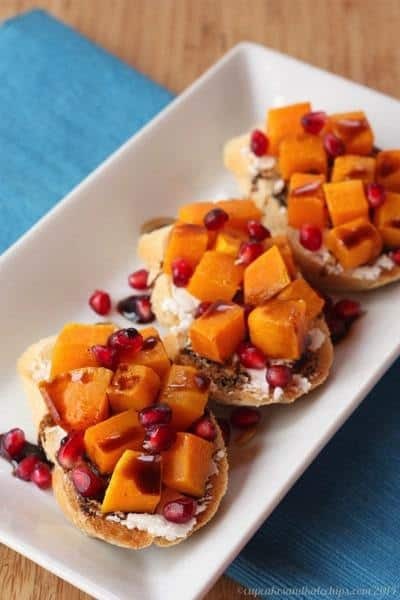 Your guests will go crazy for this gorgeous and delicious appetizer recipe! 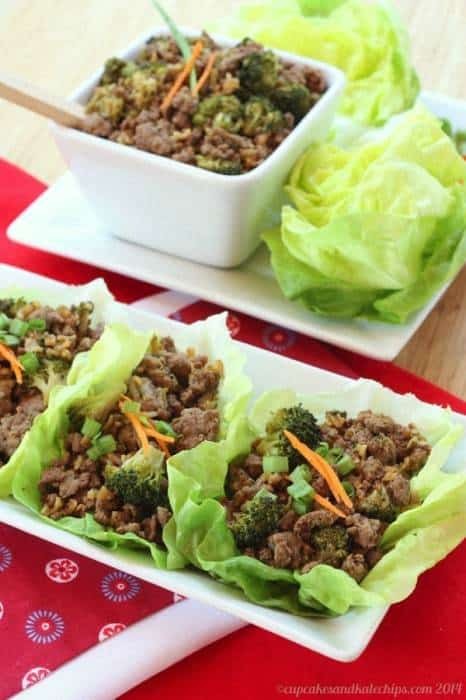 All you need to put this easy beef and broccoli recipe together are a few pantry ingredients and a pound of ground beef. This healthy appetizer comes together in less than thirty minutes! One of the easiest gluten free appetizers you can make! 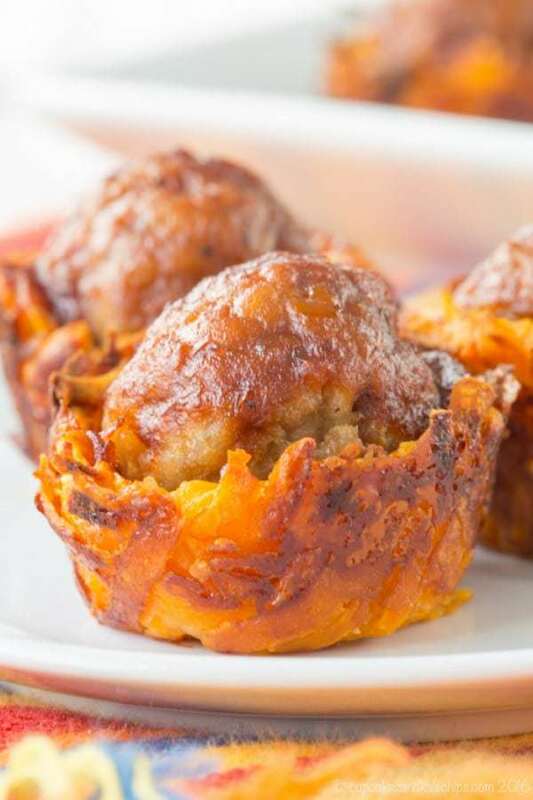 Prepared gluten free meatballs nest inside cheese loaded, baked sweet potato cups. 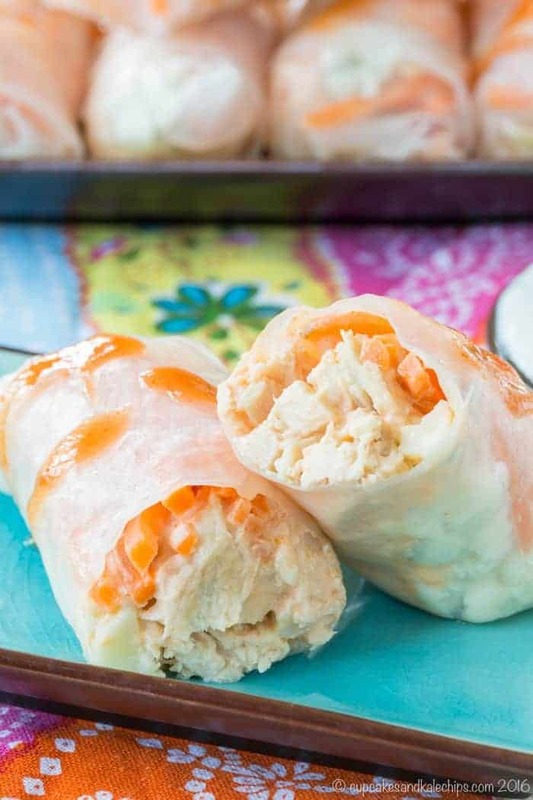 Easy, cheesy, and delicious! 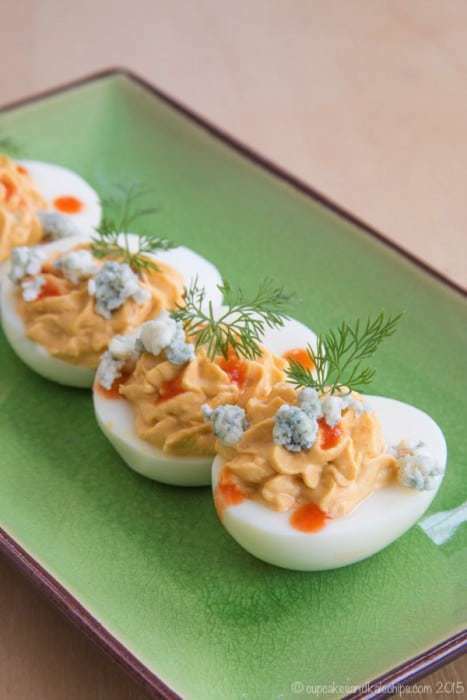 Add a kick of spice to traditional deviled eggs, then make them healthier by using Greek yogurt instead of mayo. 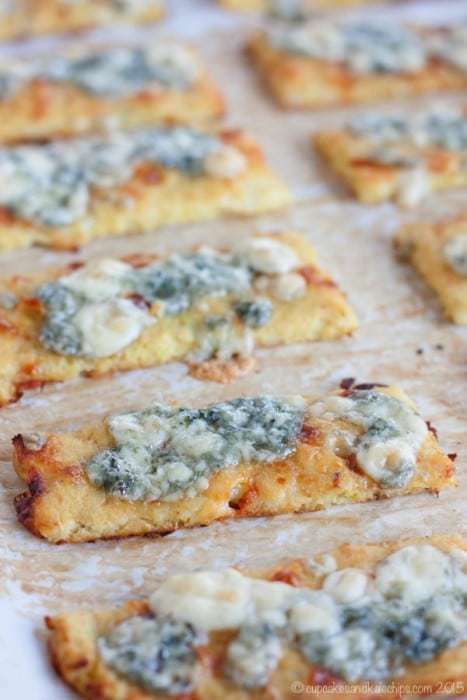 You’re going to love these gluten free appetizers! 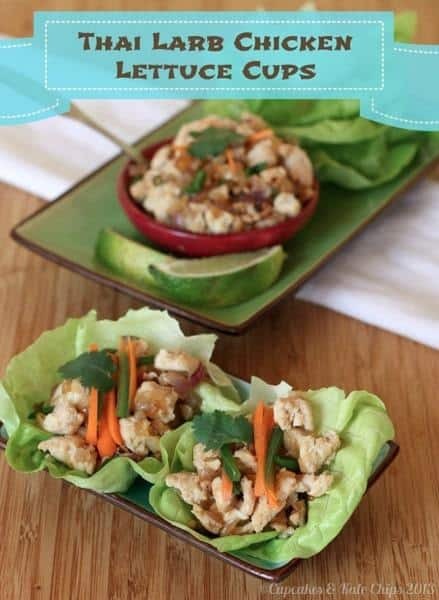 Warm chicken stir fried with fish sauce, spicy fresh chiles and lime juice on top of cold, crisp lettuce cups. They make easy gluten free appetizers or a delicious and filling healthy meal. 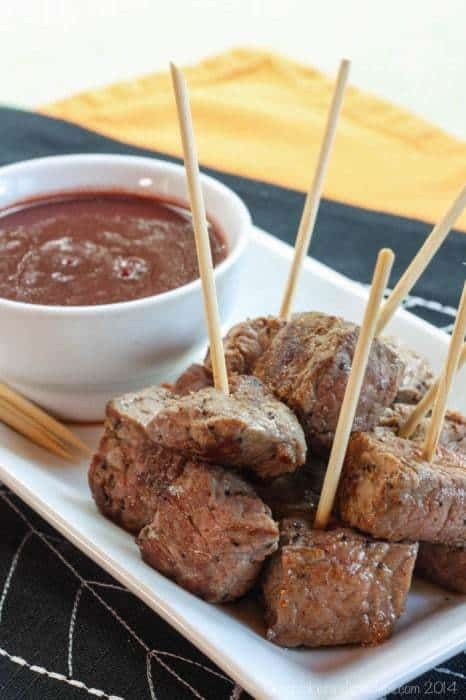 Chunks of beef are simply seasoned and seared, then served with a blood red dipping sauce, reminiscent of a classic Bloody Mary cocktail, but made with red wine instead of vodka. 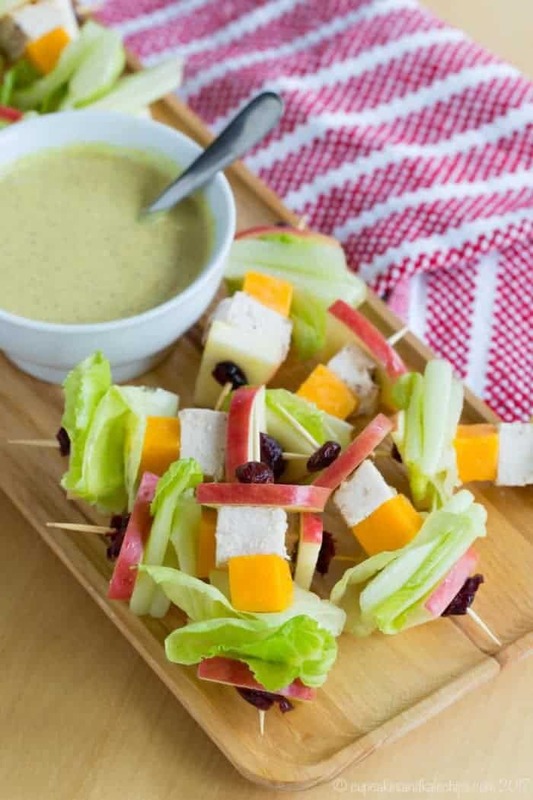 With a three-ingredient honey mustard dip for dunking, you can make a big platter of this chicken salad for an appetizer or game day snack. This easy beef recipe packs plenty of spicy and zesty flavors into tender pieces of steak. With a few ingredients and less than fifteen minutes, you’ll have a fiesta for your taste buds. Your favorite salad just became adorable hand held appetizers! These are perfect for picnics or tucking into lunchboxes, too. Pack veggies and cheese into this side dish or appetizer recipe inspired by everyone’s favorite spinach artichoke dip for a gluten free snack that’s fun to dip. 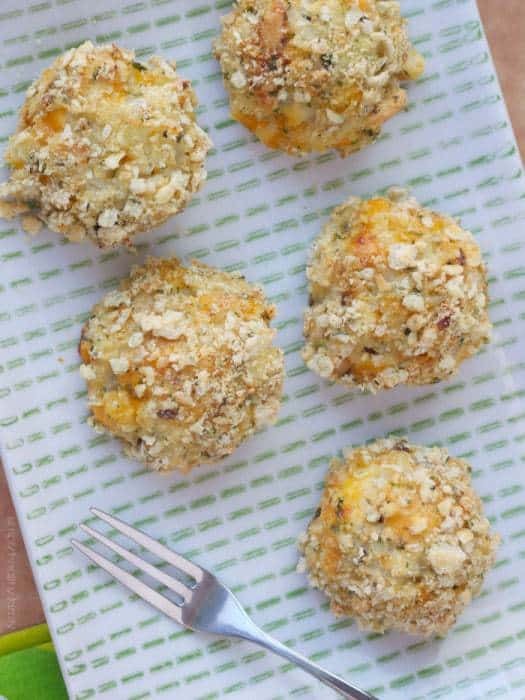 These healthy bites are perfect for game day snacking! 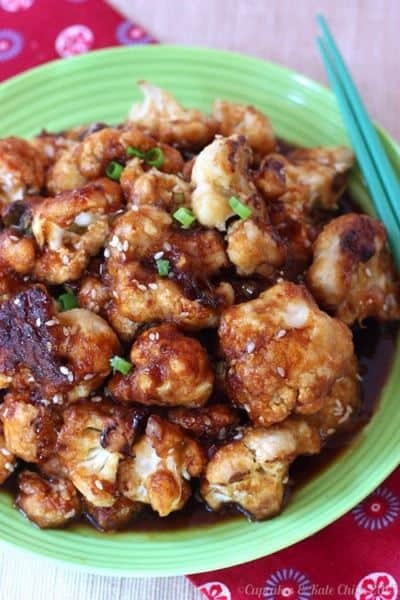 Bite sized pieces of cauliflower breaded and baked with a sesame glaze. SO addictive! These are perfect when you need gluten free appetizers for Thanksgiving or Christmas, or you want to use up leftover cranberry sauce. A healthy, gluten free version of a popular Asian restaurant favorite. Move over, Bang Bang Shrimp! 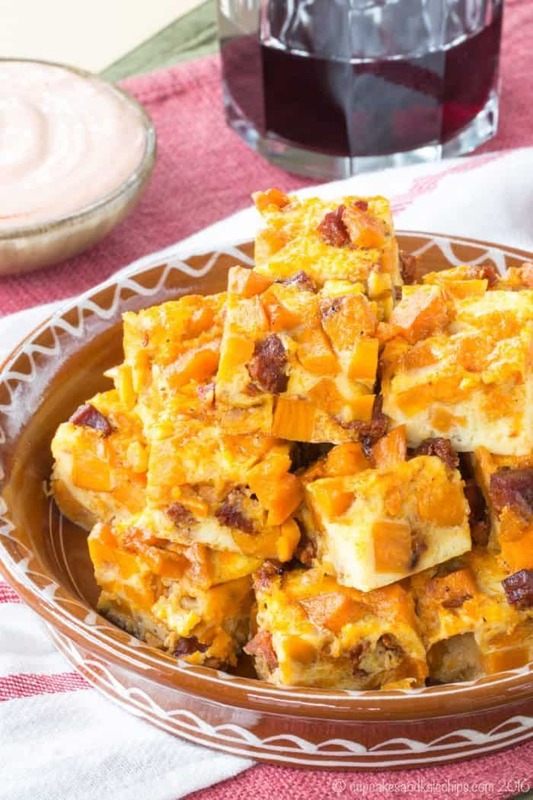 This sweet, savory, sticky gluten free appetizer will be devoured by vegans and meat-eaters. 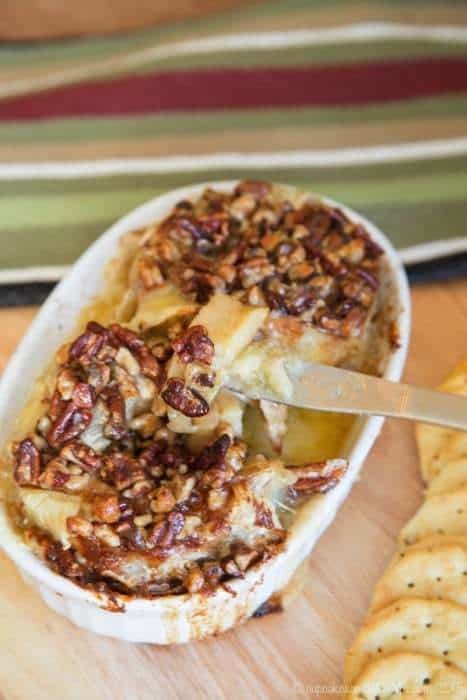 Perfect for game day eats! This low-carb, veggie appetizer is so crispy, spicy and delicious, you won’t miss the heavy game day snacks. Even better when you dip them into Buffalo marinara dipping sauce! 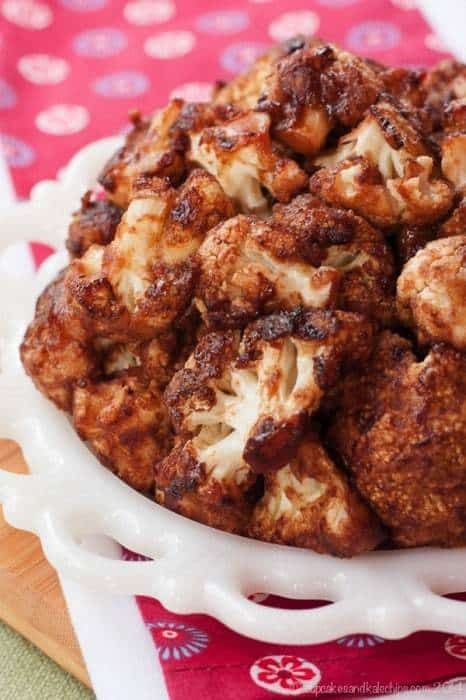 These cauliflower bites have a little sweet and a little heat! They will be devoured by everyone at your party, so make a double batch! 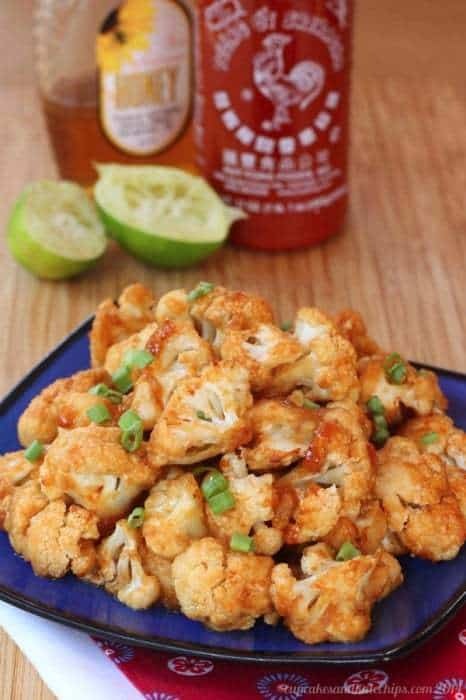 These cauliflower poppers make the perfect healthy snack, and this cauliflower based appetizers recipe is easy to make, too! 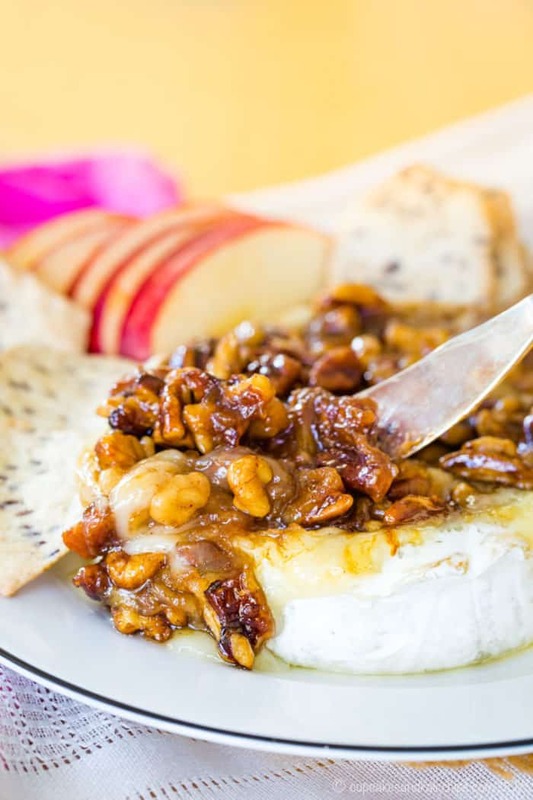 Nothing says “elegant appetizer recipe” more than recipes using a wheel of baked brie cheese. These are some of my favorite gluten free appetizers, because they’re so easy to make! 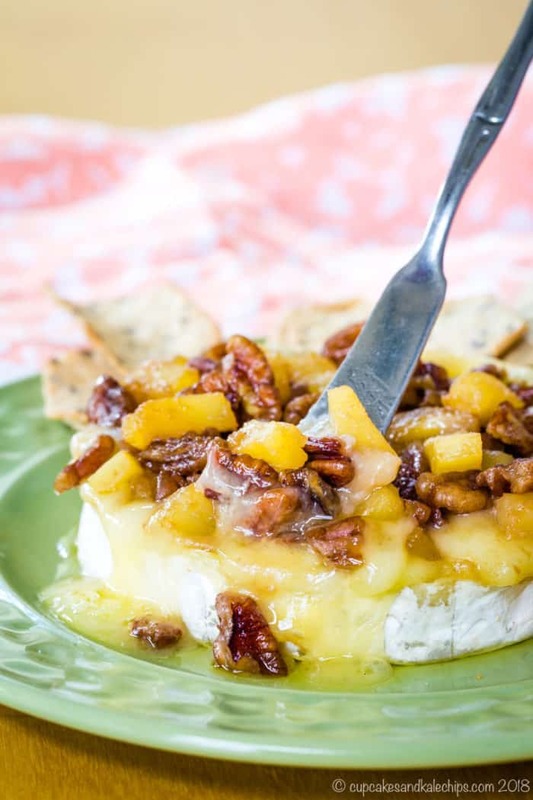 Because no party is complete without ooey gooey, melty cheese, just top warm Brie cheese with caramelized pineapple and pecans for a festive appetizer. With only six ingredients and a few minutes, you can serve this cheesy dip to your friends and family and impress everyone with how simple and special it is. 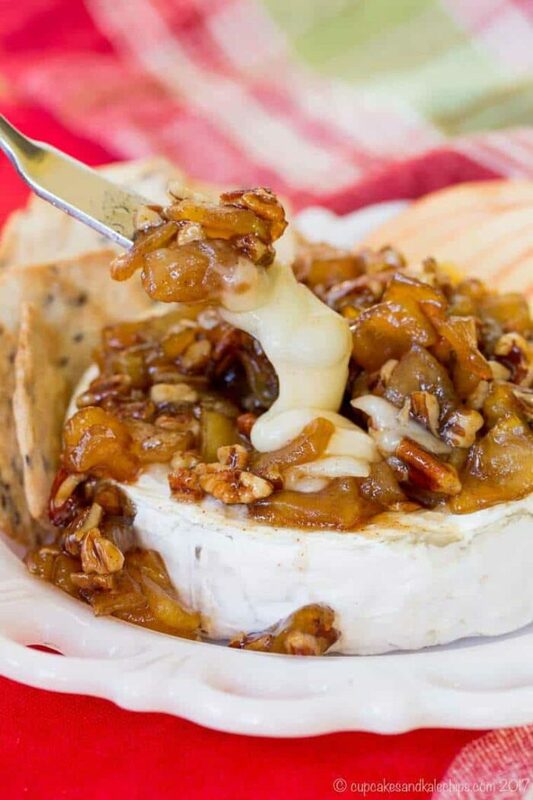 Creamy Brie cheese topped with honey sweetened walnuts and pecans. Get your dipping crackers out and your taste buds ready for a fantastic treat! Bloomin’ onions have nothing on this gluten free appetizer! Melty Brie cheese oozing between “petals” of honey-sweetened fruit and crunchy nuts. All of those “b” words can’t be wrong! 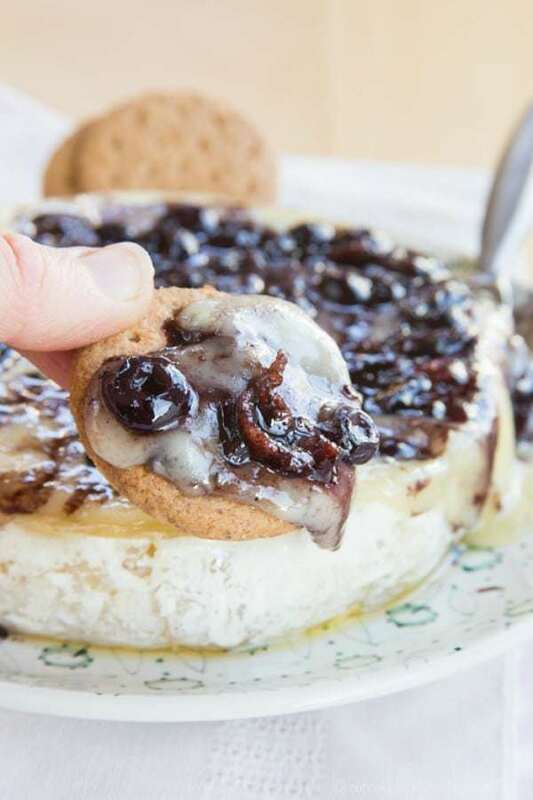 An ooey gooey, cheesy appetizer recipe with the perfect combo of sweet and savory. 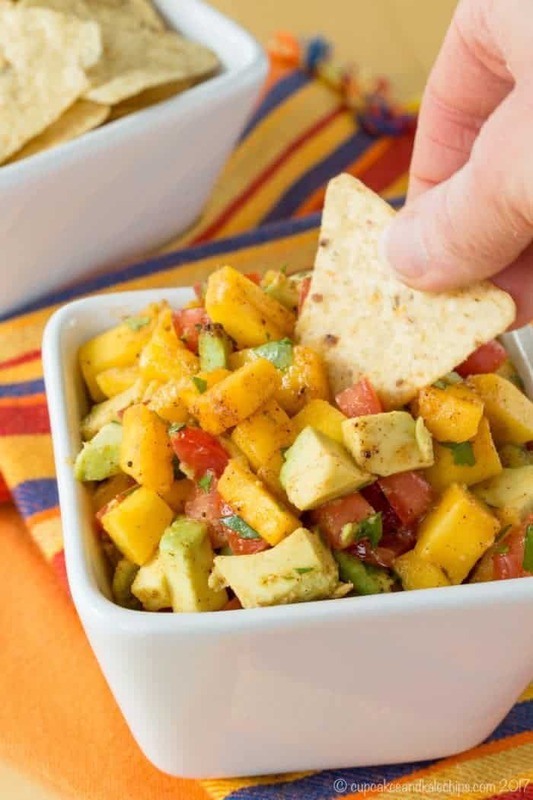 Unlike many salsa recipes, this fruit salsa has barely a hint of spice, making it a kid-friendly favorite. Perfect for dipping, but try adding it to your tacos for a fun twist! 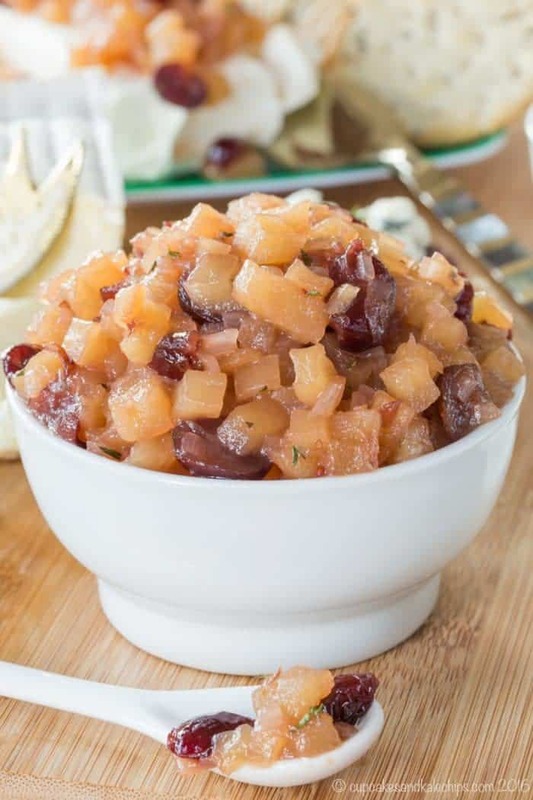 This delicious apple chutney is a sweet and savory mixture of apples, cranberries, and thyme, with the tang of vinegar, and a splash of sparkling apple cider. 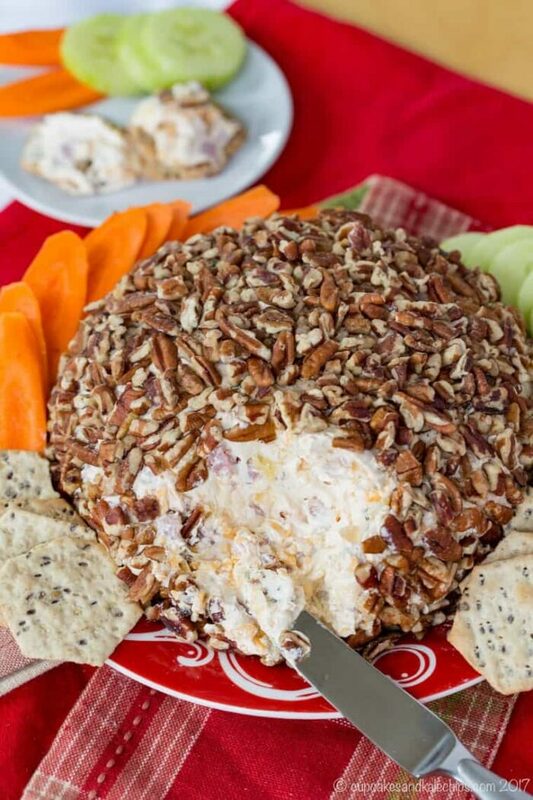 This gluten free appetizers recipe will complete your cheese platter with its sweet and salty, cheesy flavors, and creamy texture with the perfect amount of crunch from its pecan coating. You can make it ahead of time and even use your leftover holiday ham.